If you have high blood pressure, you may have had trouble correcting it. But now there's a remedy that's as simple as it is powerful. At least that's what a new study says. In a study out of Israel, researchers followed 54 subjects with moderate uncontrolled high blood pressure. They were already on one or two drugs, with no difference in their pressure. The researchers gave them a tomato extract for six weeks. 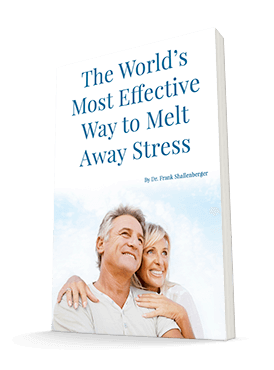 Their systolic blood pressure dropped by more than 10 mm mercury. The diastolic fell by more than 5 mm. Their lycopene levels rose sharply — 300%. Higher lycopene levels correlated to lower systolic blood pressure. I just love tomatoes. I can't wait for summer tomato season. I buy organic ripe tomatoes by the crate and make homemade gazpacho, dump them in salads, and turn out other tomato delectables daily. Good tomatoes are hard to get off-season, though. So it's tough to get their protection year-round. I do like the Lyc-O-Mato product. It's easily available online and at health food stores. It's an excellent alternative to the whole living food. You might try taking Lyc-O-Mato along with the beets I recommended last year. Together, they make a very powerful one-two punch against hypertension. Ref: Cardiovasc Drugs Ther, 2008 December 4.